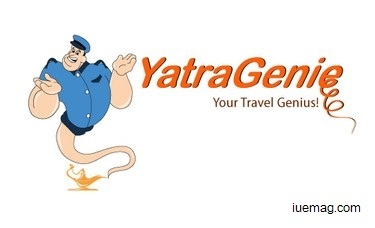 YatraGenie.com is one of India’s leading online bus ticketing and cab booking platform. Established in the year 2013 by Renil Komitla, YatraGenie provides a one stop travel solution to customers looking for a budget travel. The company which is headquartered out of Bangalore has gross revenue of about 50 crores and currently has 7 lakh unique users. YatraGenie is recording 3000+ bookings a day. YatraGenie believes in providing the best service at the best price to its customers. YatraGenie which works on a commission based business model is known for its hassle free and low cost bus ticketing service. In the year 2015, YatraGenie launched cab booking services in Bangalore, Nellore, Tirupathi, Kavali and Vijayawada. YatraGenie is operating cab services in Andhra Pradesh with an approved radio taxi license and in Bangalore under the city-taxi scheme. YatraGenie has plans to expand its cab portfolio in 100+ cities across Pan India. Bookings can be done via the online portal www.yatragenie.com and also via android based mobile devices using the YatraGenie app. Apart from web and app bookings, customers can reach out to the call centre by dialling 20 20 20 20. YatraGenie has taken all security measures into consideration in line with the norms mandated by the RTA authorities. The mandates include GPS tracking system, panic button and background check for certified drivers and live tracking. YatraGenie also has plans to provide customized tours and travel packages to its customers.